360 degree wrap around tube truss clamp- securely mounts fixtures to truss • Non scuffing - Non scratching - Non scoring - Non denting. Two sizes can be obtained by removing the center adapter from the 1.5" O-Clamp turning it into a 2" O-Clamp. 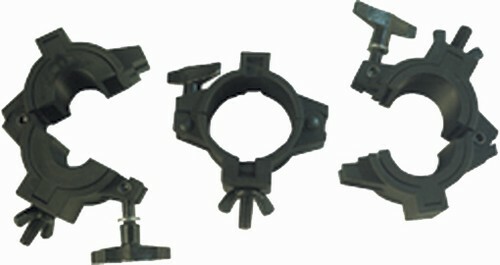 Two sizes can be obtained by removing the center adapter from the 1.5" O-Clamp turning it into a 2" O-Clamp.